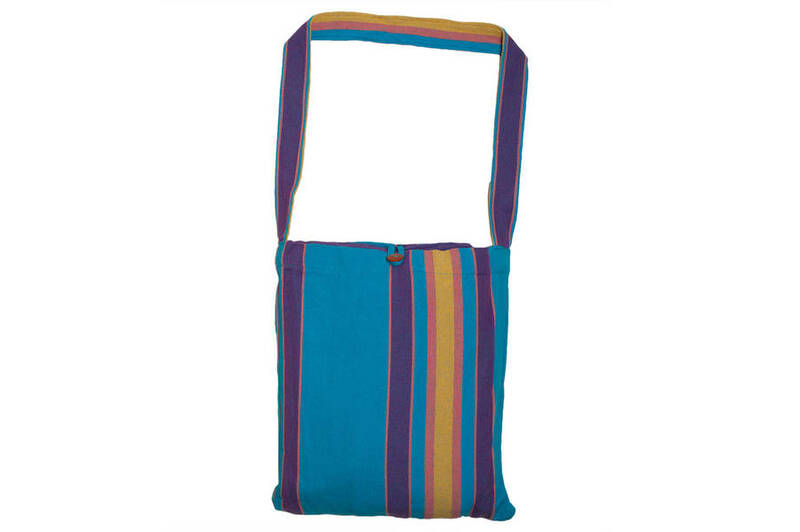 A beautiful double hammock with blue, purple and orange striped cotton fabric. 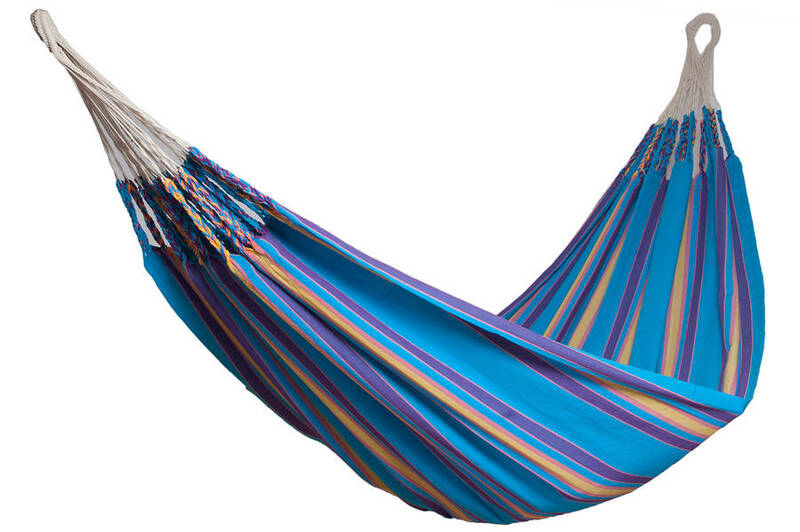 Perfect for the garden or a sunny day room, this beautiful double hammock is colourful and striped. Made from 100% recycled cotton, you can relax suspended in the air with a nice breeze flowing around you. Hammocks are very easy to put up, either hanging from two trees with a liitle help form a pair of tree bands (add these to your order) or on a special hammock stand. These hammocks are made in Colombia, where hammocks are part of everday life. 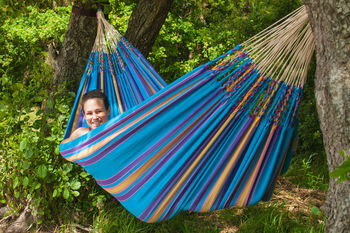 This hammock is available in six different colourways; Carneval, Cupcake, Lime, Mocca, Latte and Ruby. This product is dispatched to you by Emilyhannah Ltd.